Things aren't so easy for Joel. Faced with the knowledge of the future does Joel risk changing that future by sharing information. When he finds an opportunity to return to his own time, does he risk it? What if it doesn't work? Can he leave behind the love of his life? If these questions intrigued you, then you have to read this novel. It was a fun read and I really enjoyed the characters and the story. I started a similar story years ago, similar in that there is a person, a mine, and a trip to the past. Seeing how John handled his character's journey and transition to the time period was what interested me to this story. I really like how he handled both and how he wrote an accurate description of how Joel adjusted. Well accurate in how I feel someone who found them selves almost 60 years in the past would adjust to that situation. This was the first book in John's Northwest Passage series. I'm looking forward to reading the rest of the books. 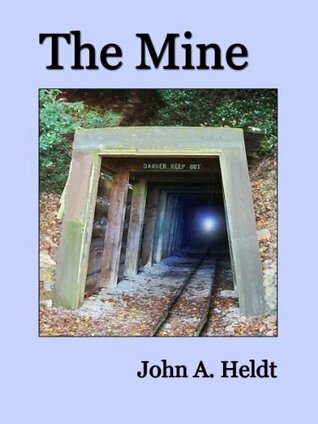 Sign into Goodreads to see if any of your friends have read The Mine.